The rugged, red hills surrounding the city of Moab, Utah, look otherworldly. The rock formations include mountains, columns and arches, making for some of the most challenging off-road terrain in the country. Each Easter a festival celebrating those rough roads is held during the Moab Jeep Safari, organized by the Red Rock 4-Wheelers off-road club. In tribute of the area, Jeep in 2013 introduced a Moab Edition of the Wrangler specifically built for those tough trails, equipped with Goodyear off-road tires with Kevlar enforcement, premium rock rails and a powerful crawl ratio. 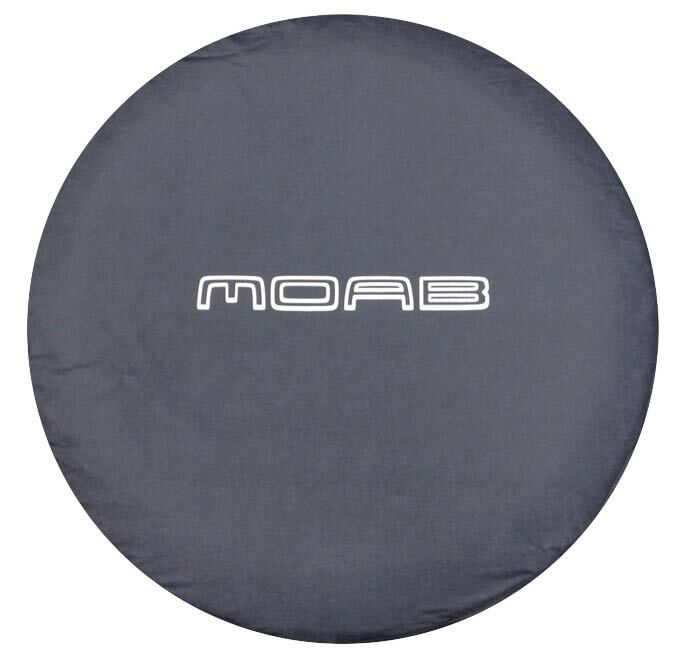 Inside and out featured a striking Moab logo that matched the toughness of the vehicle, and that logo is proudly emblazoned on our Moab Spare Tire Cover. Made from a soft-top material, it will grip your tire like a diving suit, and will protect your spare from rocks and much more, including whatever weather rolls over the mountains. Made by OEM Mopar, its logo is an exact match to the rest of your Jeep, so you'll get a showroom-floor look at a discount. 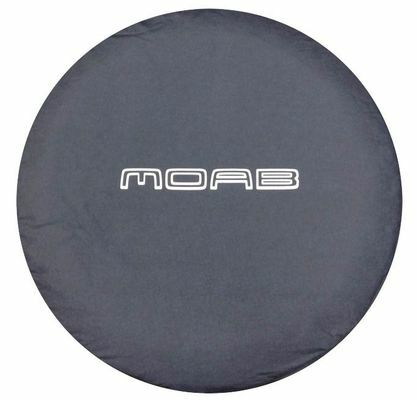 Available in the perfect size for your Wrangler Moab Edition, our spare tire cover will proudly display the Moab badge, and help you return your Jeep's look back to when it was new.